Popovers are an AMAZING treat that, for some reason, aren’t as popular in this country as they are in England. These big puffy balls, crispy on the outside and just a little bit custardy on the inside, are really quite easy to prepare and make a dramatic breakfast treat. 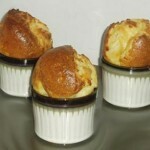 Because they are basically a souffle, they must be served just-out-of-the-oven, traditionally with orange or strawberry butter. 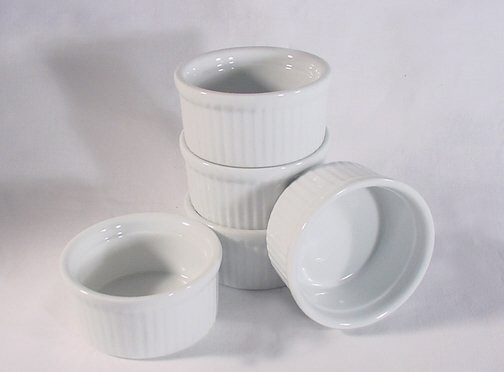 To make them, you will need 8 or 12 small oven-proof ramekins, a baking sheet to set them on, a mixer, and non-stick spray coating (Pam). 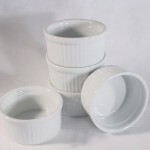 Thoroughly grease 12 6-ounce ramekins. Set them on a jelly roll pan or large cookie sheet. Beat eggs in large bowl with electric mixer on medium until frothy. Mix in butter, then milk. Beat in flour at low speed. Fill ramekins 2/3 full. Place on tray in oven. Bake for 50 minutes. Serve warm with orange or strawberry butter. 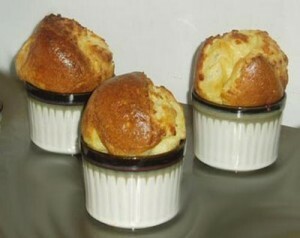 Popovers are popular in New England. We used to have them whenever we were in Maine at Jordan Pond on Mount Desert Island.